"You Make My Tail Wag" Dog Treats are Grain FREE, made with creamy garbanzo bean flour and all natural peanut butter. 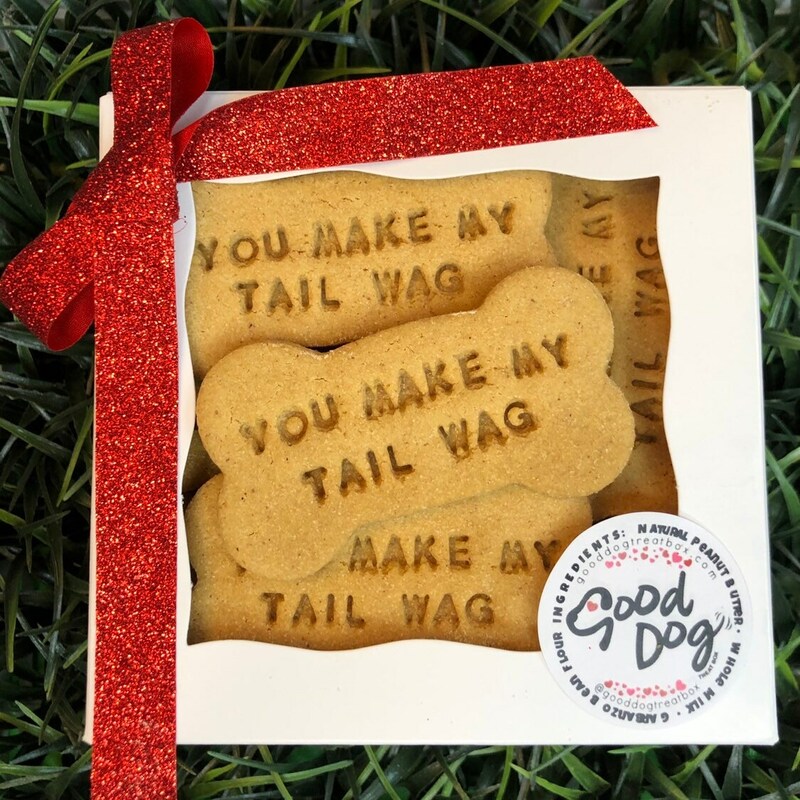 Treats are perfectly packaged and make PAWESOME doggie gifts. Treats are roughly 3". My dog loves these!! As soon as I opened the package they smelled sooo good just like peanut butter. My dog was following me around crying to get one. I wanted to hide them to give to her for Hanukkah that night so I put them in a gift bag & hid them in the next room & she ran over to that room scratching & crying at the gate to get to them!! She loves them! And I love that they only have 3 ingredients in them!